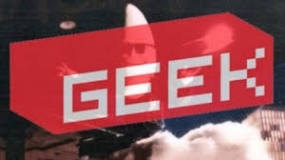 LISTEN: Geek.com- What’s bingeworthy in IL? April 17, 2019 – Geek.com, a trending pop culture website, recently surveyed 1,500 Americans to discover the top binge-streaming trends and preferences across the US. As it turns out, Illinois has unique TV taste! While Game of Thrones was the No.1 favorite show nationwide (The Office was second and Ozark came in third), viewers in Illinois had a surprising soft spot for Shameless, which ranked No. 9 nationwide. Illinoisans ranked their Top 3 bingeable shows as: 1. Game of Thrones, 2. Shameless, and 3. Ozark.